In its annual report for 2016, Flickr noted that, "as in previous years, smartphones have grown as the dominant device of choice, while point and shoot and DSLR cameras both lost ground." Cameraphones grew to 48 percent of all photos uploaded in the year, compared to 39 percent in 2015. DSLRs shrank from 31 percent to 25 percent, and point and shoot cameras fell from 25 to 21 percent of users' uploads. The site noted that 8 of the top 10 most popular imaging devices were Apple iPhones, with the company's last three annual models taking the top three positions in the year. Canon's 5D Mark III and 5D Mark II were the only non-Apple cameras to break into the top ten list. 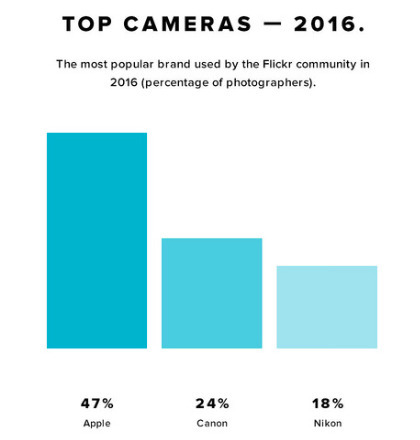 Just one year ago, Apple accounted for 42 percent of Flickr photographers, a percentage that's since grown to 47 percent. Apple's focus on high quality sensors, lenses and in particular advanced silicon logic in its A-series Application Processors has enabled the company to gain a strong reputation among both professional photographers and casual users who want an easy to use, but ultra simple tool for capturing images. This year, Apple has capitalized on its advanced camera imaging savvy to bring dual camera imaging to its best iPhone 7 Plus, along with a new Portrait mode that uses a dramatic depth of field effect for DLSR-rivaling background bokeh that focuses the viewer's attention on the foreground subject. Photo by wedding photographer @benjhaisch, shot on iPhone 7 Plus and edited using Filmborn and Lightroom mobile. 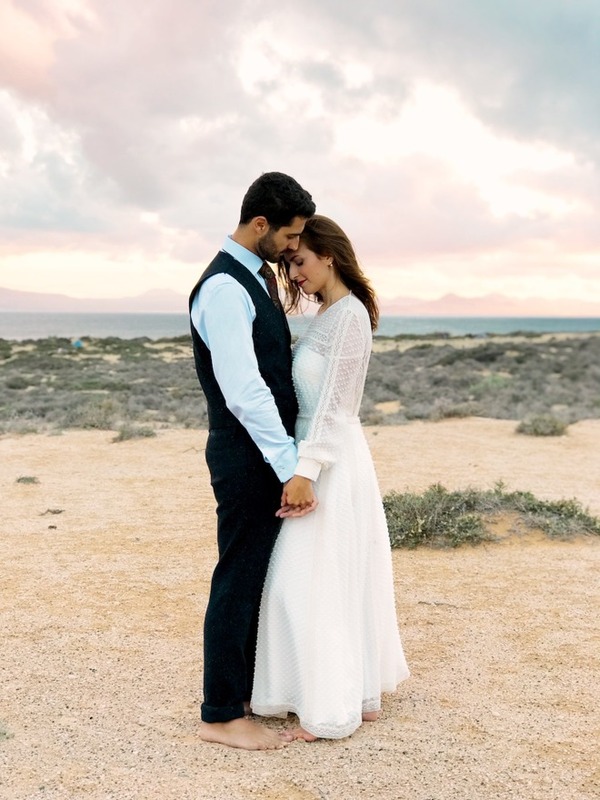 Apple has profiled its new Portrait mode online, featuring the work of several photographers, including wedding photographer Benj Haisch (above). Haisch said the iPhone 7 Plus Portrait mode "is absolutely changing the way I look at mobile photography," noting that "having a wide angle 28 mm equivalent paired with the 56 mm equivalent and Portrait mode has been game-changer in achieving professional results without bringing any additional equipment." He added, "having soft, diffused lighting will help with keeping the photo flattering to your subject. Find a space that isn't too busy or distracting, as Portrait mode will create a photo that really pops." 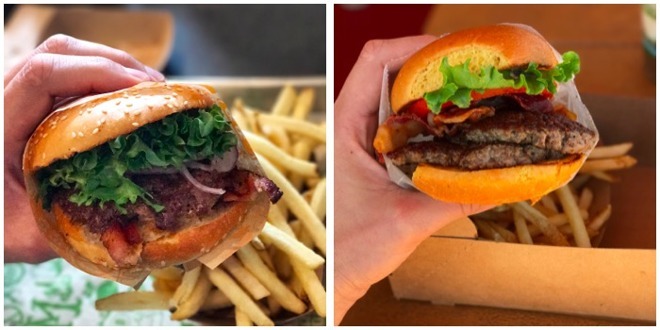 The new Portraits mode isn't just for capturing people (and pets): the dual-camera imaging mode can also be used to pop any subject away out from the surrounding background, such as with these two hamburgers: one at San Francisco's SuperDuper Burger, the other from Santa Monica's PierBurger. In addition to the new Portrait mode, AppleInsider previously detailed a series of major imaging improvements on iPhone 7 and iPhone 7 Plus, from low light captures to a better, brighter four element TrueTone flash, to the Plus 2x telephoto lens for photos, videos, slo-mo, time lapse and panorama capture.